Here we will discuss about the social media marketing ideas for your eCommerce websites. Which platforms should you use and how much time and effort you should invest on them. 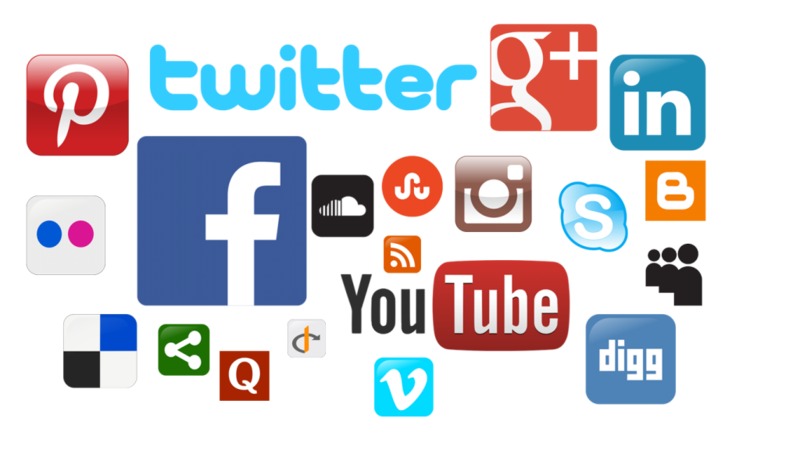 Along with that, we will also share some specific and healthy tips on each of those top social media networks. So, are you ready to implement these social media promotion tips for eCommerce sites? Have you integrated social media like and share buttons? Are your social media interaction buttons strategically placed? Have you implemented the marketing ideas for your ecommerce site? Is your site optimized for attracting more visitors and conversion? And finally, have you been tracking your social media interaction metrics on your site? If you are looking into your website development yourself, you may have missed the social share and like buttons. Make sure they exist in each page that you want to share. Social Media marketing can be time consuming and ineffective if you don’t do it strategically. 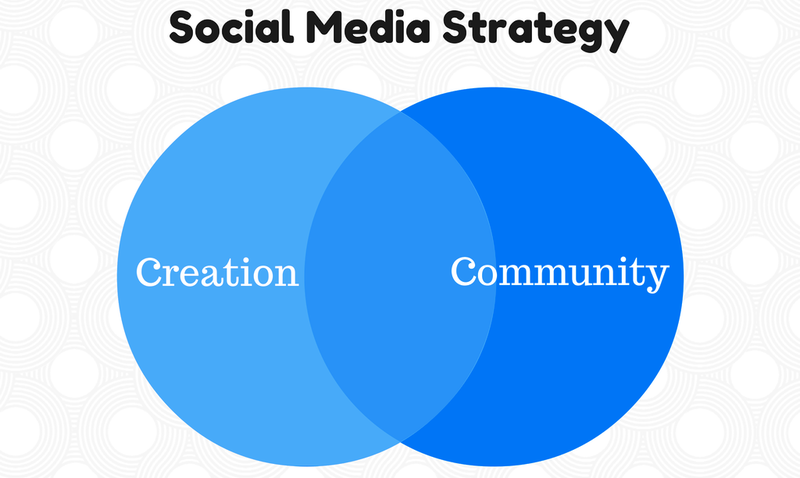 Quickly defining your Social Media Strategy in action! Setting up your social media marketing strategy can get confusing for some who don’t have prior experience. For this reason, it’s best to decide what you want to get out of your social media campaign at first and then, start searching for the answer to “How” questions later. You have your strategy there. Let’s say you specialize in selling shoes. What you want is to get 1000 twitter followers who are shop for shoes every three months, who are located around your geographical region. That’s about the buyer persona of your targeted audience. Your next step is to find out those profiles and analyze them to create tweets that are interesting for them, use hashtags to reach them and get them to follow you and interact with your tweets. One important part of social media promotion and strategy is the timing. Making a clear note about the timing when your social media actions are performing best and making a timeline about when you should step forward to convert your followers into customers is an absolute must for ecommerce sites. Twitter, Facebook, Instagram, Pinterest, LinkedIn and G+ are the most popular social media channels that people use on a daily basis. The benefit of establishing your company persona on these networks is that you will have the exact information about who are interested in your product and can identify what their similar point of interest are. Marketing your ecommerce site through facebook can be really fruitful. But we’ve noticed many people who wanted to try out and got in at the wrong foot from the very beginning. Let’s say, you have a profile with 5000 friends, and you may be tempted to start marketing with that profile. But are you sure you can view the insights about your marketing actions through that profile? No. What you need to do is create a company page. You can use that profile to create a company page and invite your friends to like that page. Next tip is about posting. You need to make sure about the time your posts will be most effective. Also, determining the type of post that gets more engagement is taking a step forward. Make absolutely sure that you post the clear images of you products when you promote your product through Facebook. And a blunder to avoid during marketing your products on Facebook is to avoid comments. This is social media and your posts are open for your potential customers to see. Never ever leave a comment unanswered. If you are looking forward to paid advertisement, make sure to send your data feeds to Facebook which is a great idea. Don’t forget to add the Shop Now button on your profile though! Twitter is one of the most efficient social media to use for businesses like eCommerce sites. Why? Because there are practically thousands of crawlers in twitter that follow the links you post. This will help you to index your pages. But that’s not just it. Twitter is a great marketing tool which has a plethora of other tools which help to market better in twitter. Though the text limitation restricts promotion to some extent, it makes compulsory for the marketer to be specific about the post. Next point that’s never to miss is followers and interactions. If you haven’t started using twitter analytics, enable it from analytics.twitter.com and enable your tweeter cards too. One best way never to miss any interaction is to connect your account with the app in your handheld device. Never keep customers or followers waiting for your reply. One of the popular ways that twitter marketers use is the mass follow trick. Though this may get your account blocked, you can use it through unfollowspy or crowdfire apps carefully to increase your followers. And final tip for twitter marketing, after you have analyzed the tweets that work best for your business, don’t hesitate to ask for retweet! These social medias are great tools for eCommerce marketing. The reason being these are visually driven and have more visitor engagement. Now for your company pages make sure to start from business.pinterest.com and likewise for instagram. Also, make sure to create different boards on pinterest if you are selling different category items. Enable rich pins and definitely focus on the quality of your images. About the quality of your images, make sure to try different types. You can also use those that are approved by your Google or Amazon merchant as the guidelines they provide are the new standard for posting images. As for the type of images, you can occasionally switch between the infographics that about determining product quality and the product images. Also, don’t miss the opportunity to post images about the offers and sale you are having. Where facebook, twitter, pinterest and instagram are targeted towards the general audience, this social media platform is focused towards the professional individuals. It is absolutely necessary to retain your brand image while staying professional – no cheesy marketing of retail products on linkedin. But does that mean you can’t grab potential customers from here? No. You can easily create company page and promote your company. For that, one best way is to collect followers. And who would be your first few followers – yes your company staffs. What to post on linkedin then? If this is your question, you can create blog posts about product reviews and latest product releases. Posting these in your company pages will help you gain more followers. Don’t misjudge the company followers in linkedin. People are more likely to buy from the companies they follow than some other sites. Also, if you are interested you can create video reviews about your products and post them on your company page. Paid marketing in linkedIn is also a great way to attract followers for your company page. Mostly SEOs are interested about this rather than the SMMs. But it’s time now to speed up on this platform as well. Google launched its social media platform a few years back. You can create your company page on Google Plus and list your product there. As Google is “The Industry Giant”, it has also provided the google shopping platform which is even more beneficial than the social media. The best part about using Google + for your eCommerce marketing is that only 1 of 4 registered users stay active on a daily basis so it is not on priority marketing for many brands. However, connecting with those regular users of this platform can gain you a brand loyalty. You can even use Google Hangout to create a live review, unboxing event or such and interact with your potential customers. Also, the user communities in this platform are packed with likeminded active users. Now taping into these communities and gaining a reputable impression there will be like leading your potential customers into their buyers’ journey efficiently. As Google Plus is shutting down from 2nd April 2019, we’ll have to keep a close eye on where the Google communities shift. Instagram is more targeted to the younger users. According to a research, one in every 5 instagram accounts follow at least one instagram business account and visit or view their business posts daily. Instagram has offered to create shoppable posts which is still hidden fact to many of the business accounts. If you have already connected your product catalog with business.facebook.com, it is only a matter of few steps to create your shoppable posts on instagram. Furthermore, Instagram has recently launched “Checkout on Instagram” feature on a closed beta. This will undoubtedly help to increase the sales of your eCommerce products. 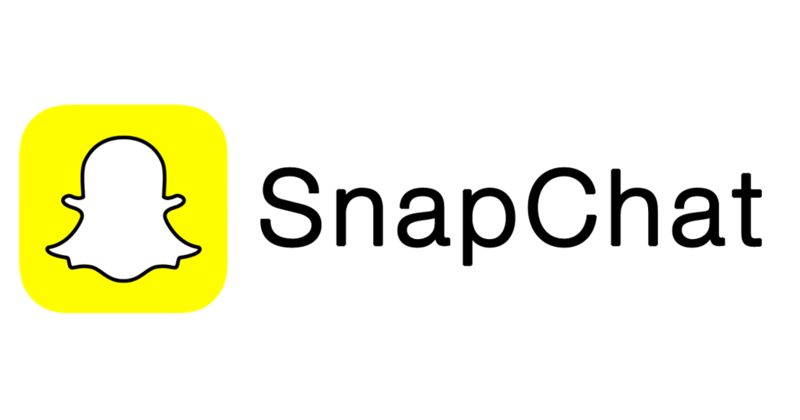 SnapChat is a platform that’s developed to share photos and short videos among the user groups. One peculiar point about snapchat users is that they are closely linked in. Mostly the millenials and generations after that are found using SnapChat more often. If the segment of your products are more likely to be found on SnapChat, make sure to create your product feed for SnapChat using ExportFeed and create your product ads to improve conversions. Now, while concluding – Make sure to connect your social media channels by adding links so that your potential customers can find and follow you on their preferred channel. Also, it’s better to post media contents you create for one channel in others as well in order to maintain consistency. Finally, don’t only post about yourself – it’s like you talking about yourself all the time, so don’t forget to share. While using Shopify platform and you need to manage your social media promotion easily, you can also use some apps like this one. List WooCommerce Products on Etsy Released! How to create a developer account on Etsy Merchant ?